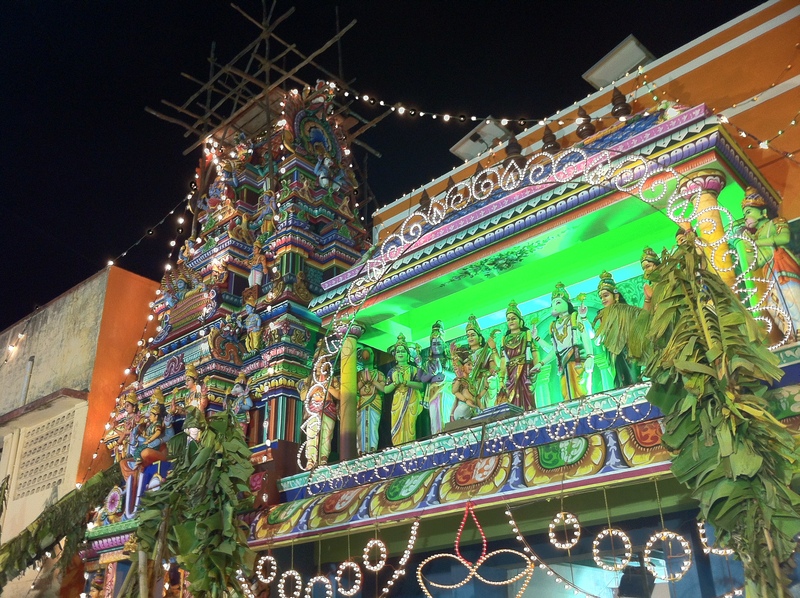 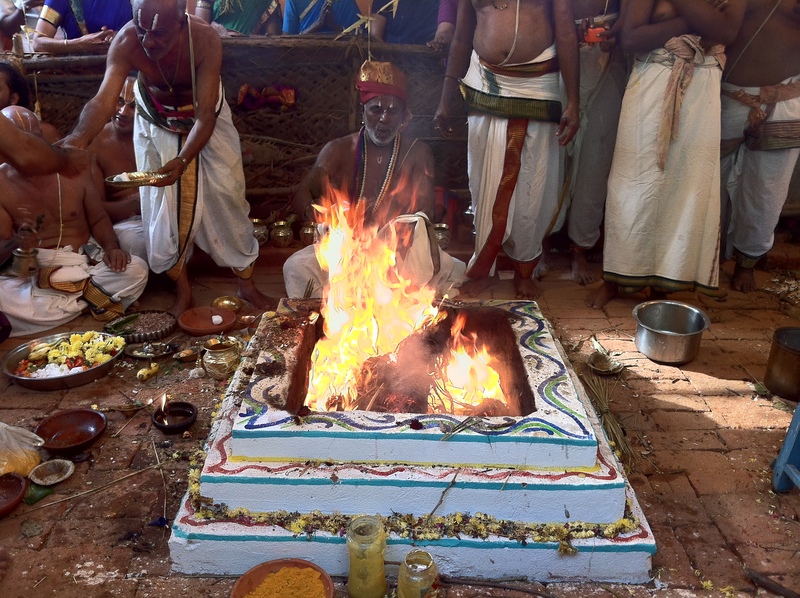 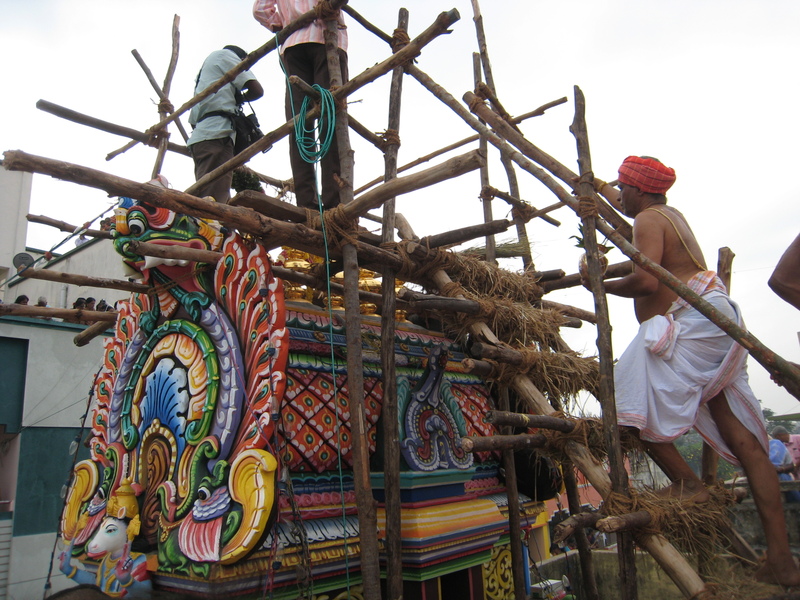 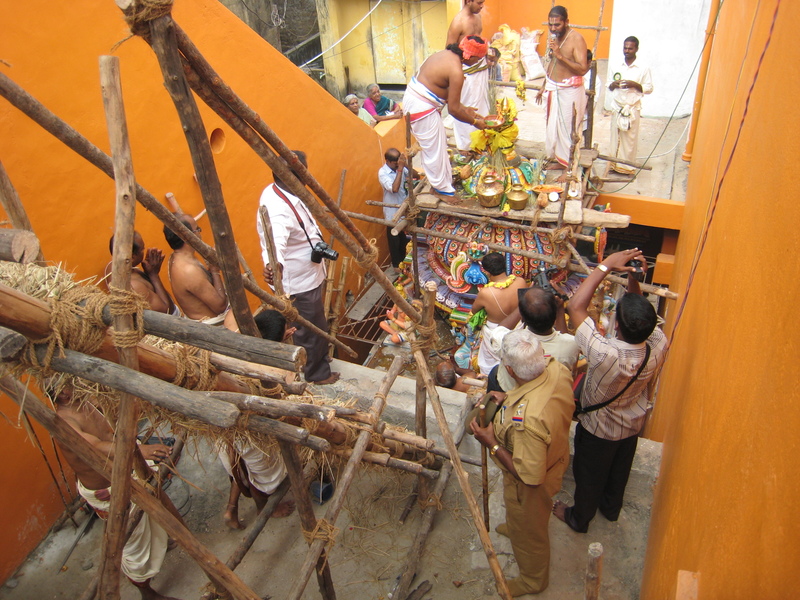 This week Kumbabishekam (ritual done after construction of a new temple or after extensive renovation) was performed grandly for Sri Lakshmi Hayagriva Temple in Sri Ramakrishna Nagar, Muthialpet. 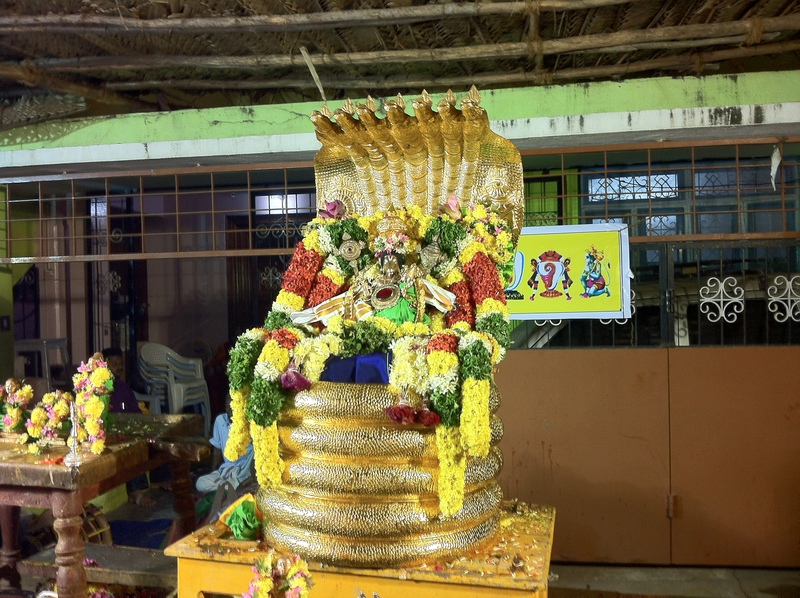 It is believed during the auspicious hour when the Kumbabishekam (pouring of blessed water on the Temple crown a.k.a Kalasam) is performed, the Devas and Angels from Heaven visit the place and while here bless the assembled. 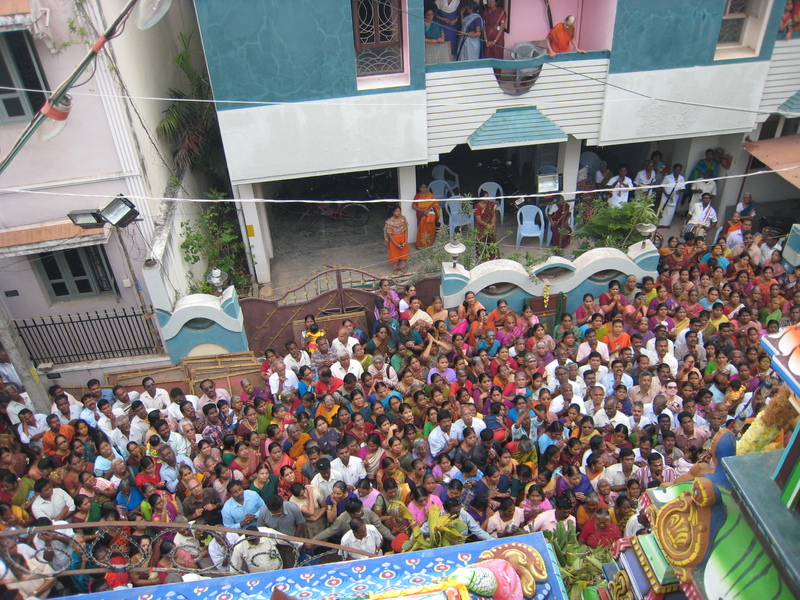 The crowd assembled here on the morning during the auspicious hour was overwhelming.